Being able to cash in your miles and points for an award flight is a great feeling. Even better? Getting an incredible deal. The key to redeeming fewer miles is to take advantage of sweet spots found on award charts to book flights for great prices compared to what else is out there. A good examaple is Iberia’s business class from New York’s JFK to Madrid using Iberia Avios. Because of the airline’s distance-based award chart, it only cost 34,000 miles to fly one way in business class. But it gets even better when there is a promotion. And there’s one right now. Currently, Iberia is running a sale where all awards are 25% off from now until June 15, and again between October 1 and December 15. That 34k business class award now costs only 25,500 miles. What a steal! 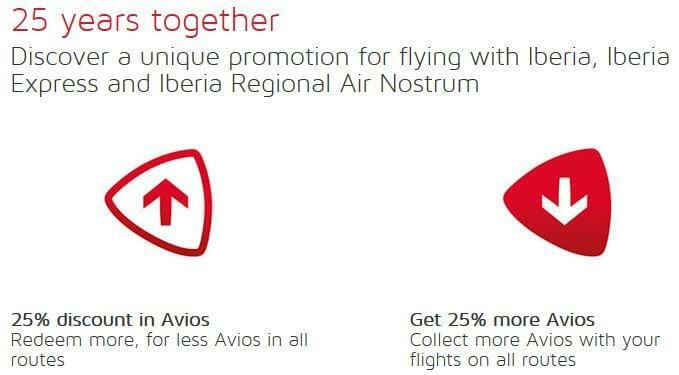 Plus, Iberia usually has good availability far in advance, and unlike it’s Avios cousin British Airways, they don’t tack on enormous fuel surcharges on their awards. How do you learn about such sales? Signing up for airlines’ promotional emails as well as following points and miles blogs to jump on these sales while they last. Another sweet spot used to be considered nearly impossible to book, but from my own experience, I can tell you it is possible. Etihad Guest is a unique program because Etihad isn’t part of an airline alliance, but they do allow redemptions with some interesting carriers. For each partner, they use a different award chart, and one of their best offerings is with Brussels Airlines. At the bottom of the above screenshot is perhaps the best deal of all transatlantic travel: roundtrip from New York to Brussels on Brussels Airways in business class for only 36,620 miles. Yes, you read that correctly. The catch? You can only book Etihad partner awards over the phone, and the process is incredibly painful. Further, this award is notorious for being difficult to land because phone agents can rarely find availability to score this golden ticket. Here is my experience. Last summer, I met a blogger at the Frequent Traveler University conference in Washington, D.C. who had managed to successfully book this trip. He told me about his experience and made it sound easy, so I decided to roll the dice and give it a go. The chatter was that Etihad was showing a lot of availability for this award in May 2017. Again, the annoying part about booking with Etihad is that the award space they see does not match any resource you can research yourself. Brussels Airlines is part of Star Alliance, so you can use United’s website to search for availability, but just because other partners show availability does not mean Etihad will show the same thing. After discussing the possibility with my fiancée, we decided we could fly roundtrip to Brussels from New York and wander around that part of Europe to visit other cities. We also looked at dates in late May to take advantage of the Memorial Day holiday. The miles I transferred from my ThankYou Points account took four days to transfer. (Tip – I later learned that American Express’ Membership Rewards points transfer instantly to Etihad Guest.) I promptly called their 800-number and anxiously spoke to an agent with my dates, times, and flight numbers ready. As expected, she put me on hold to check for space. While on hold about ten minutes, I recalled what I had read on Flyer Talk about others’ experiences trying to book this award in the past. Most of the time, the agents can’t find any availability at all, and there seemed to be much debate as to whether these agents even know what they’re doing. When she came back, she told me there was no availability on the dates I had selected. So, I did what others had done before, and politely hung up and called back. I got a new agent on my second attempt, and after being on hold about ten minutes again, this rep disclosed the same bad news: my dates were not available. I asked if she was certain, and she was, but she did indicate that there was space on my preferred return date. Wow! I now felt confident that she knew what she was doing, so I had her search different outbound days. Ten minutes later, she found availability on a flight two days earlier than we originally wanted. I thought this might work, but I needed my fiancée to check her work schedule, so I decided to gamble and hang up in hopes of calling back moments later to complete the booking. I called my fiancée to confer and explain what was going on. She was fine with the alternate dates, so I called Etihad a third time. Unfortunately, my inbound flight was no longer available, so we had to manually search for new dates altogether. After about 45 minutes, we found new dates – they no longer incorporated Memorial Day weekend – but they allowed us to book a 10-day trip in mid May. What a hassle! I spent close to two hours altogether on the phone with multiple agents trying to book this trip, but it finally worked out. For roughly 73,000 miles, my fiancée and I are going to Europe in business class next month, and the payoff will definitely be worth the time I spent booking this. As they say, a little hard work goes a long way. One last note. Currently, if you’re in the U.S. when viewing Etihad’s website, you’ll get the following message when trying to view information on some partner airlines. I was able to pull the chart earlier by using a Virtual Private Network (VPN) and changing my country of origin, but otherwise, you’re out of luck. 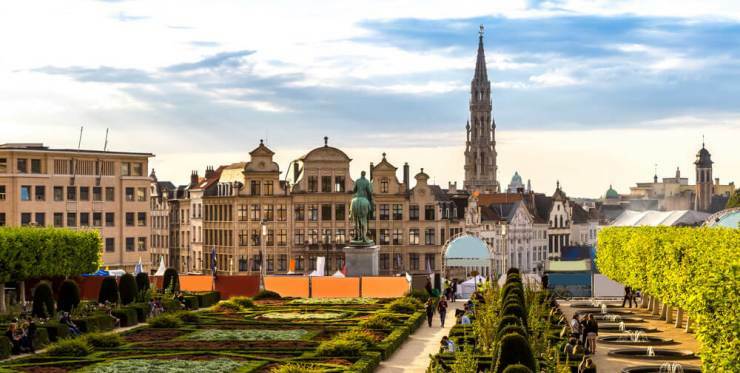 To make sure it’s still possible to book this amazing award, I also called Etihad to be sure U.S. residents could still book award tickets on Brussels Airlines, and the agent confirmed that we can.